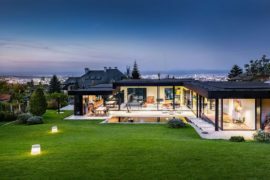 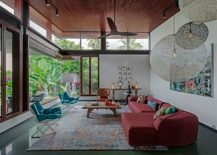 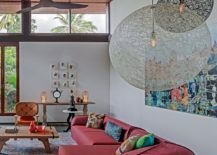 The roof of the house is a structure that does not often garner enough attention from the casual design and décor aficionado. 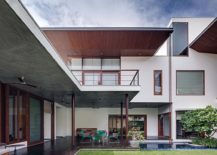 But ask the semi-serious architecture lover, and he will instantly tell you that it plays a big role in shaping the overall silhouette of a structure, its visual appeal and overall functionality. 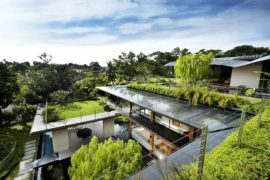 Some of the most iconic buildings of the world rely on their roofs to create this image of splendor and extravagance. 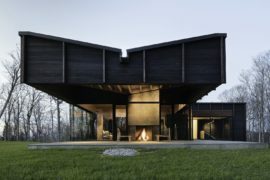 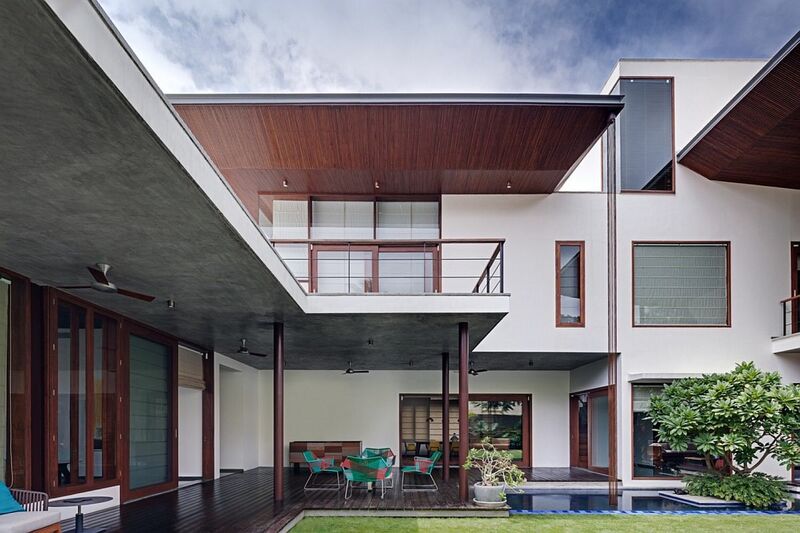 While House 1058 might not floor you with its sheer grandeur, it does turn to a series of cantilevered, timber-clad trapezoidal roof forms to fashion a series of open outdoor spaces and hangouts. 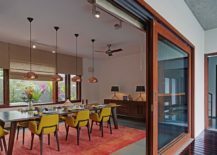 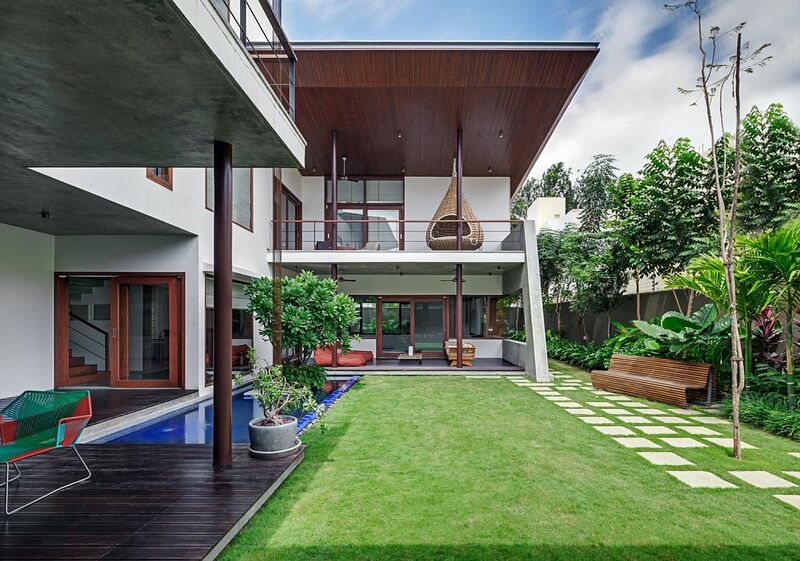 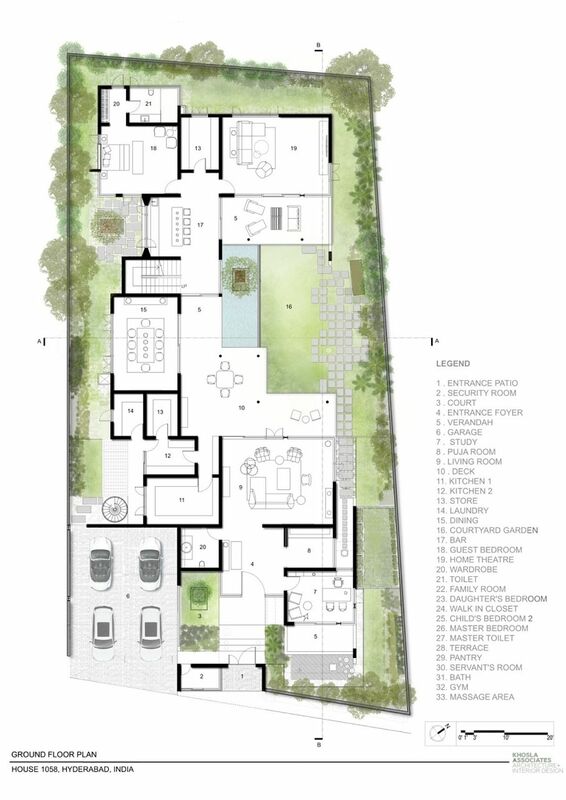 Designed by Khosla Associates and nestled in the posh neighborhood of Banjara Hills in Hyderabad, India, the gorgeous contemporary residence places as much emphasis on outdoor living spaces, dining areas and social zones as it does on a refined interior. 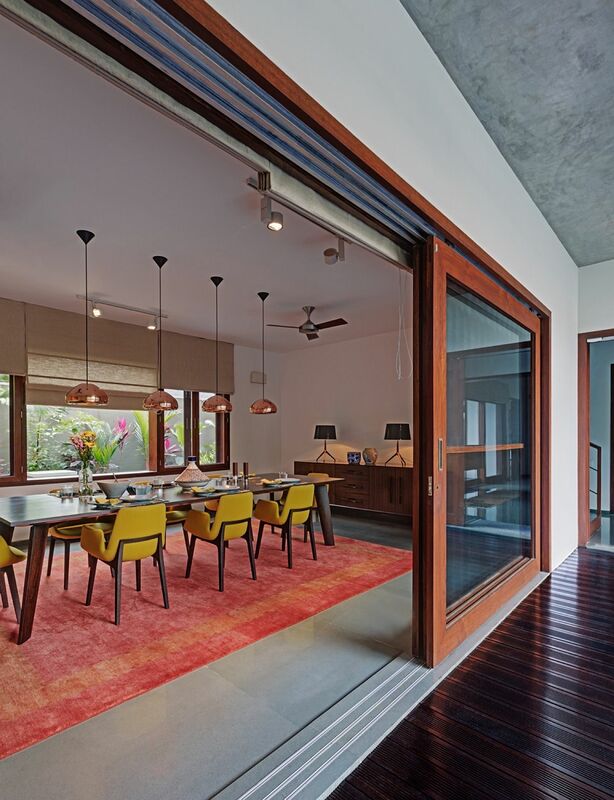 Sliding glass doors and roof overhangs combine to extend the living area outside and create a seamless indoor-outdoor interplay. 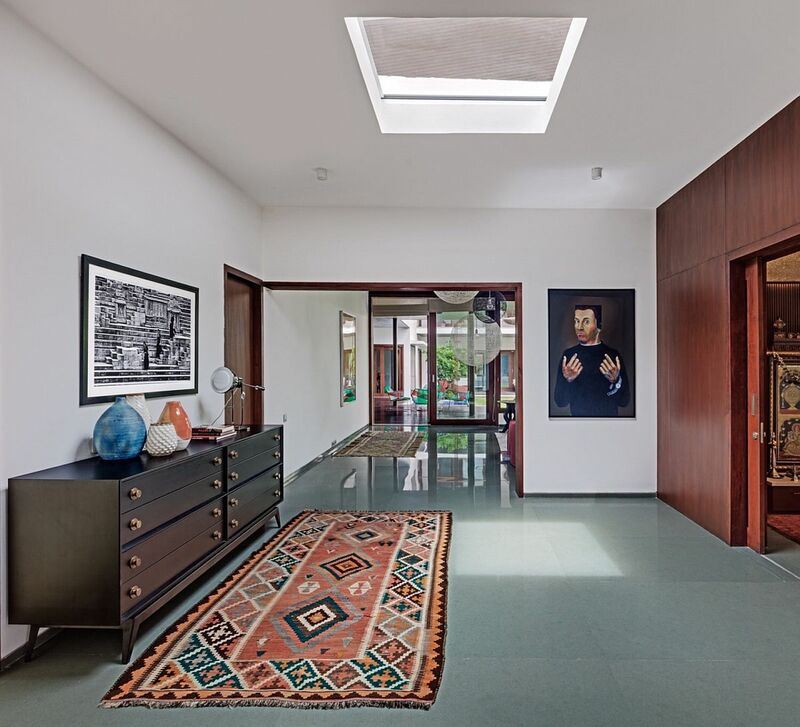 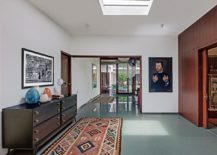 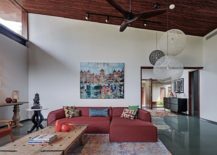 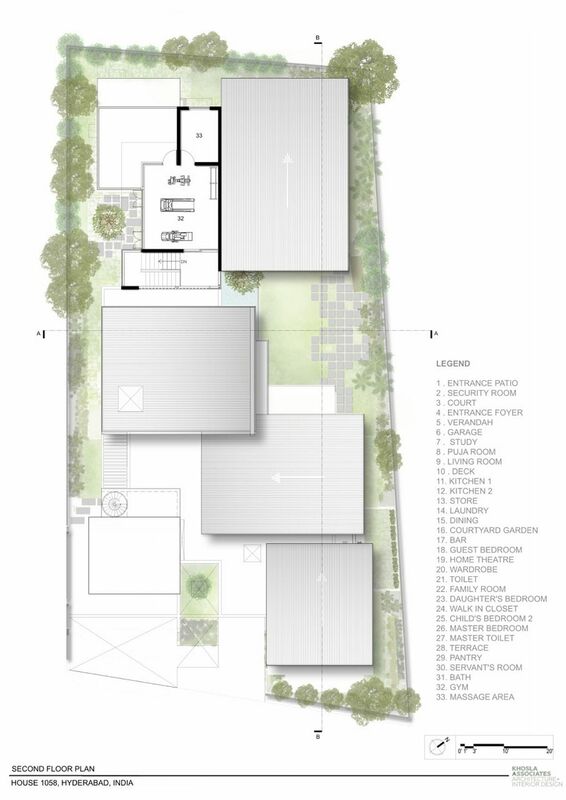 It is the ground floor that houses the living area, kitchen, dining room, puja room and additional public spaces, while the top floor holds the master suite, additional bedrooms and the kids’ rooms. 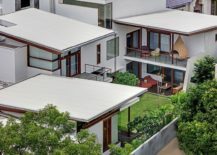 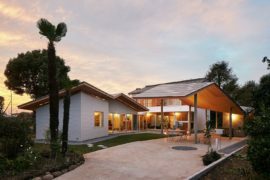 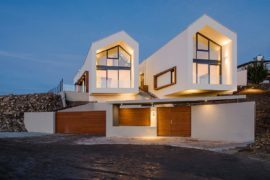 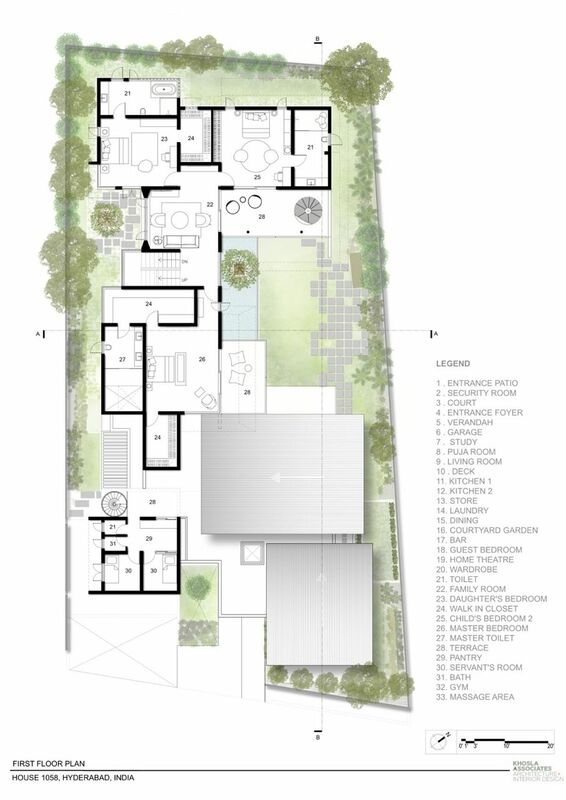 A stunning set of terraces created by the series of staggered rooms and roof structures completes a modern masterpiece that responds to local weather and keeps the home cool, even during the hot and sultry summer months. 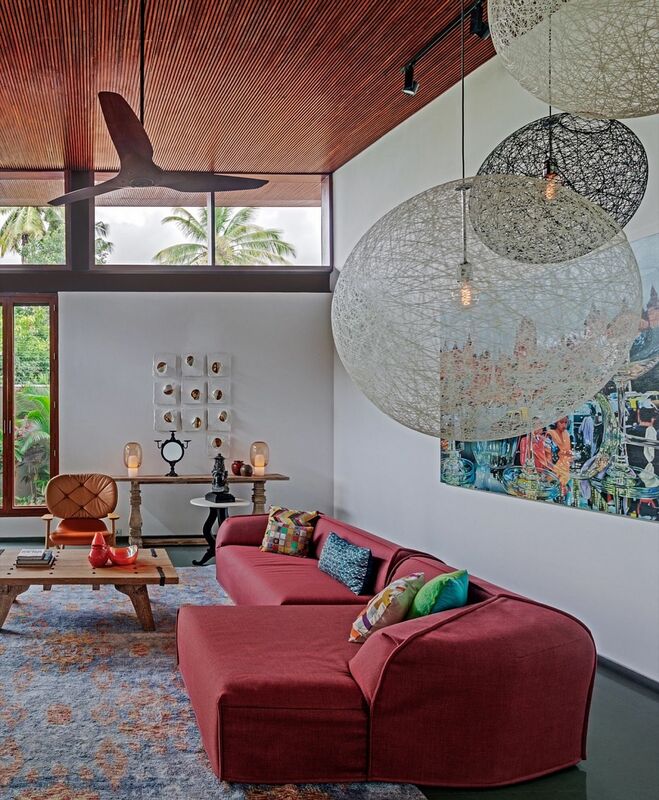 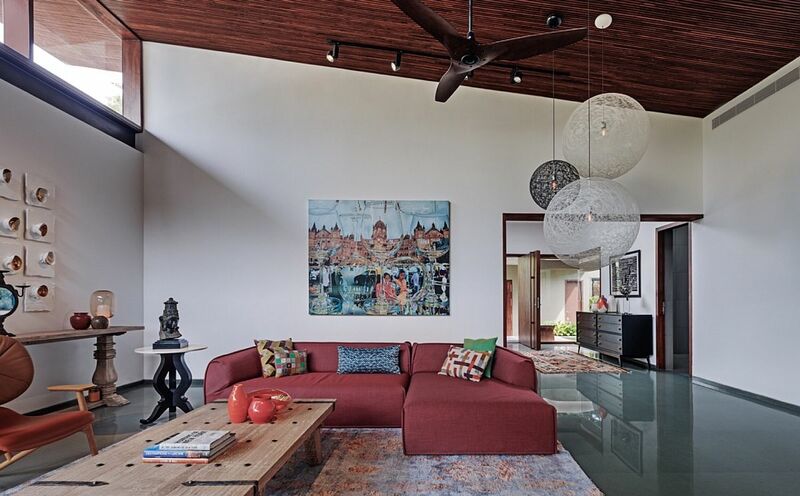 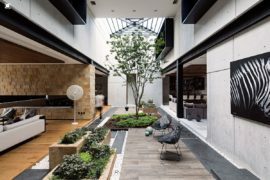 Local Kota stone, polished cement, teak and granite give the interior a cozy, calming color scheme and a native touch, while décor from the likes of Moooi, Moroso and B&B Italia provide the international flavor. 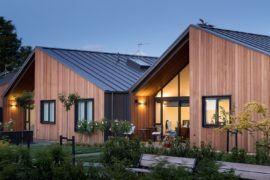 Experiments were carried out with the roof forms in this project. 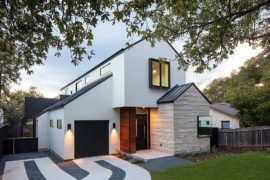 In order to create the vast cantilevers and shapes for each of the roofs, we had to create an elaborate tubular space frame truss structure, clad it with cement boards from the underside and then apply a final layer of thin slatted timber to it.